Jerry’s Auto Body has been providing superior auto painting and auto detailing services to the greater Twin Cities metro since 1974. Our technicians are all ASE and I-Car certified and are proud to have an A+ rating with the Better Business Bureau. Our certified auto paint technicians follow industry standards to prepare the body surface, apply primer, match the paint color and finish coats that will return your automobile to as good as new. Best of all, we stand behind our auto body repair and paintwork with a lifetime guarantee for as long as you own your car. As a full-service post-collision repair and auto painting facility you can rest assured that Jerry’s Auto will restore your vehicle to like-new condition. We provide free estimates and work with all insurance companies. Custom Paint Matching: Whether you’re bringing your automobile in for auto body repairs or just giving it a new paint job, you want your vehicle to look as good as the day it rolled off the assembly line. 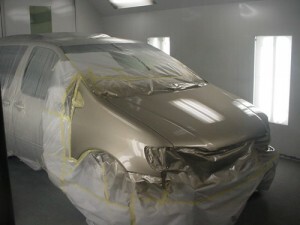 This requires the right color paint mixture and matching services that Jerry’s Auto Body has mastered. Quality Axalta Paint and Eco-Friendly Products: Excellent workmanship and service are the top priority at Jerry’s Auto Body. It’s for these reasons that we only use the best auto paint products provided by the top manufacturers with years of proven sustainability and eco-friendly solutions. Complete Overall Painting: Jerry’s Auto will protect your vehicle against corrosion before, during, and after the painting and refinishing process. 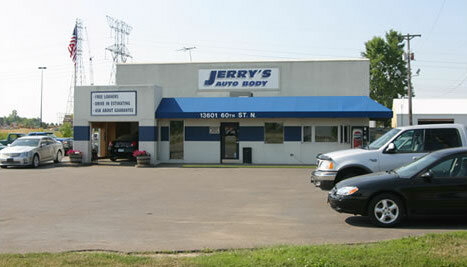 Let Jerry’s help give your vehicle the paint job it deservers and we’ll get you back on the road in no time. Call us today 651.439.9340 or fill out our free quote form to get started.